Discussion in 'Gadgets and Consumer Electronics' started by TheMightyS, Sep 12, 2012. 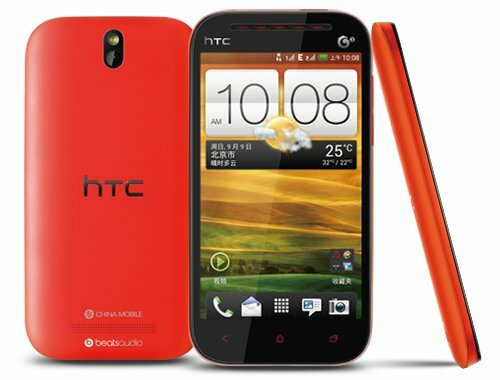 The HTC One ST has just surfaced in China and it looks like a gorgeous mid-range device in what seems to be a trending red color. The device comes with two SIM card slot, but it only support TD-SCDMA, which is a proprietary 3G network for China Mobile. HTC One ST is basically a China-only handset if you choose to use only 3G radio. The new Android smartphone features a 4.3-inch WVGA screen display, powered by dual-core 1.0 GHz processor, 4GB internal memory, 1GB RAM, provides Micro SD card expansion, 5 megapixel camera with HTC Image Sense, and it runs Android 4.0 with HTC Sense 4 system. No price has given yet, but with HTC holding an event on September 19th, the One ST could resemblance to one of the upcoming global HTC phones.